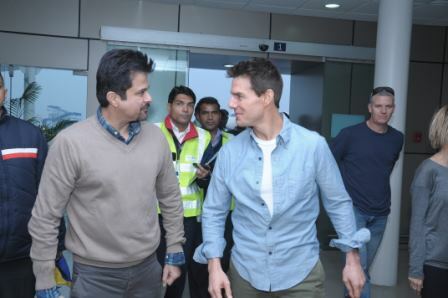 The global promotional tour for Mission Impossible – Ghost Protocol has begun and on route Hollywood star Tom Cruise visited India for the Mumbai premiere and some sightseeing. 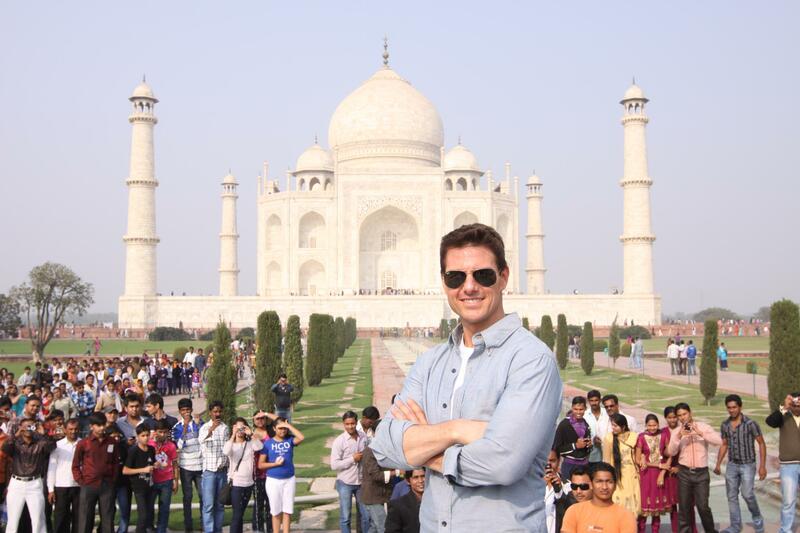 On a tight schedule, after landing in Mumbai, Cruise quickly made his way to Delhi to visit one of the Seven Wonders of the World – the Taj Mahal. 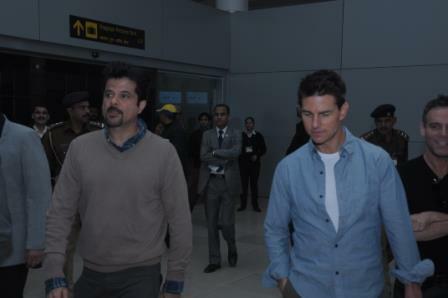 Accompanied by Anil Kapoor, under high security the visit lasted 25 minutes. While there Cruise was in awe of this beautiful monument which is the Symbol of Eternal Love. “I have wanted to come here all my life. 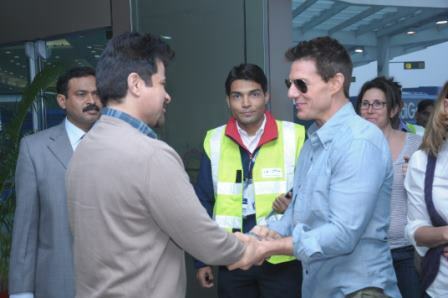 I kept telling Anil, a great actor and an incredible host, ‘I promise you I will come to India’. 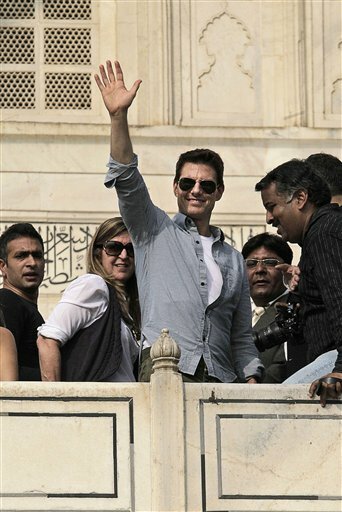 Yesterday when we were at the Taj Mahal, I told him ‘You have to pinch me. 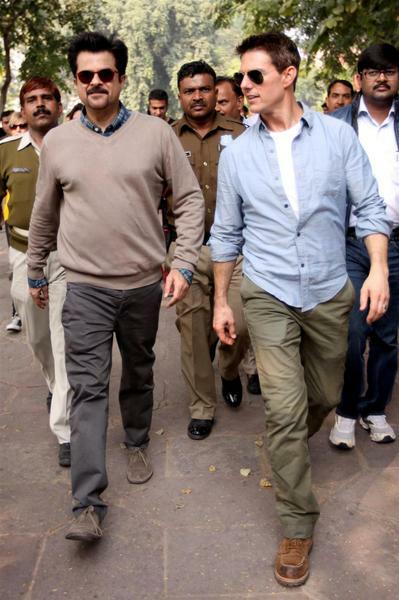 I can’t believe I am here’,” says Cruise. 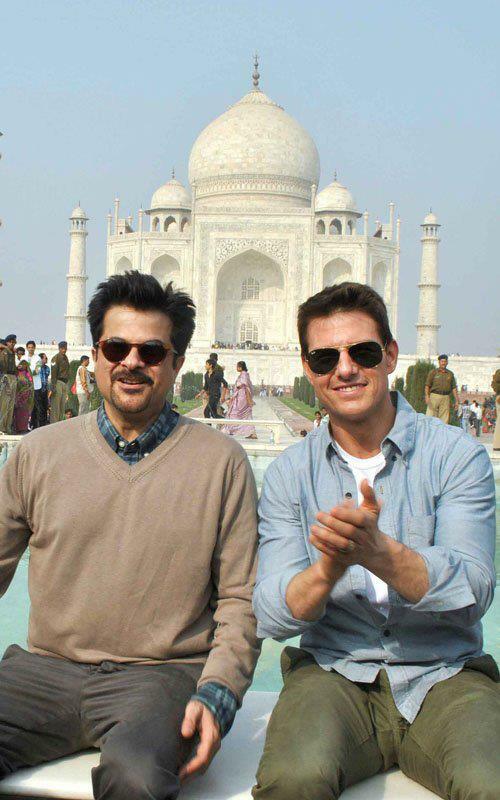 Anil Kapoor said, “Tom was absolutely mesmerized by the Taj. He loved the fact that such a monument could be built in the 15th century. 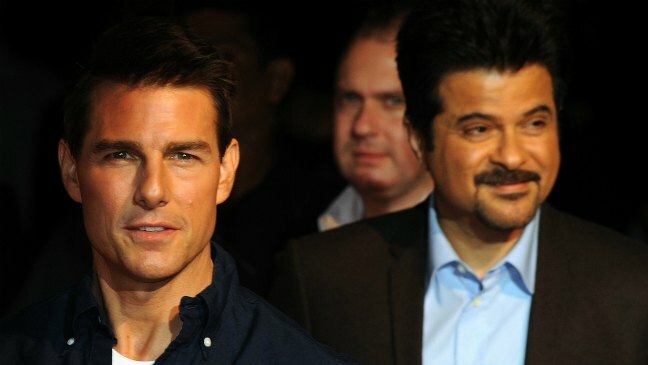 He loved it.” Being the great host that Anil Kapoor is, to avoid the long commute to and from the Hotel he and his wife Sunita stayed at the hotel for the period of Cruise’s stay. 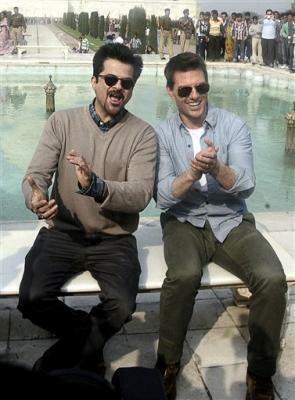 Jetting back to Mumbai, a party hosted by Anil Kapoor was held at the Taj Mahal Palace and Towers. Approximately 150 guest attended this event. 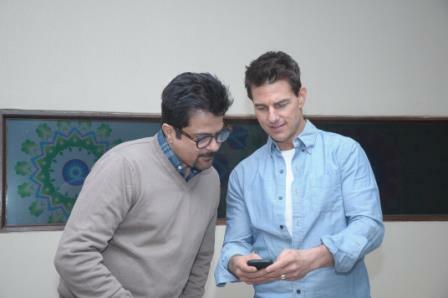 Preity Zinta tweeted, “Just finished dinner with Anil, Tom Cruise & their guests! What a Gracious host Anil is & OMG ! Tom used to be my heart throb in Top Gun! 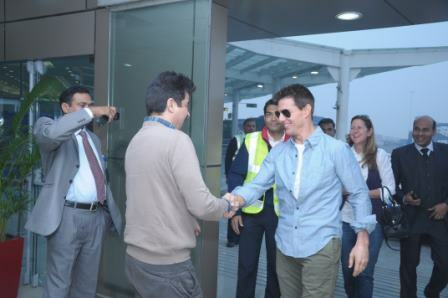 (sic)” Ace photographer Atul Kasbekar said, “Tom Cruise is a genuinely nice guy. Warm, polite, looks at you when he speaks and listens to what you say and is funny too. I told him my daughter is a big fan and he says to call her! He even chats with her for a few minutes! 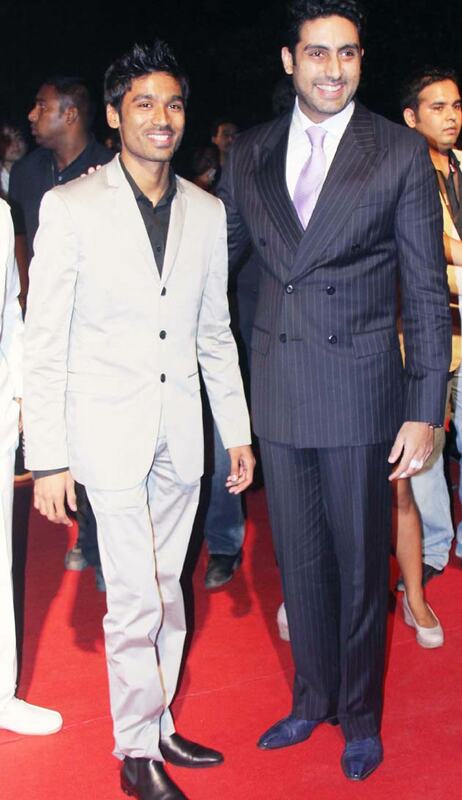 What a nice guy” said Atul. 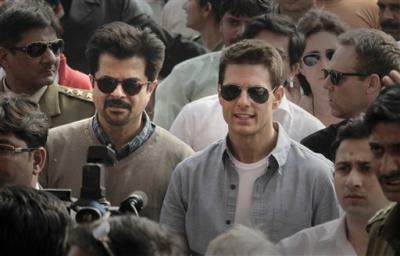 On Day 2, a special screening for 1,500 fans was held at the Imax Cinema in Wadala, Central Mumbai. 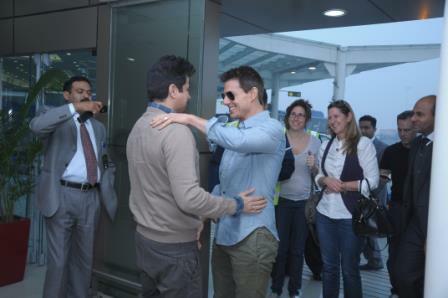 MI4 star Tom Cruise, Anil Kapoor and Paula Patton spent hours interacting with their fans. The cast of Players was also present at the event. 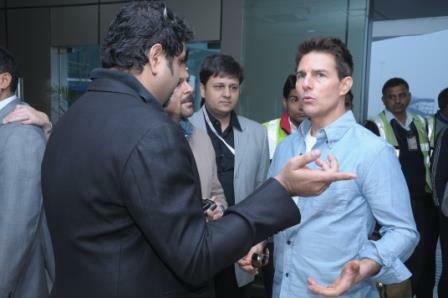 Mission Impossible – Ghost Protocol will release in India on December 16th.